Move the action videos to a whole new level. 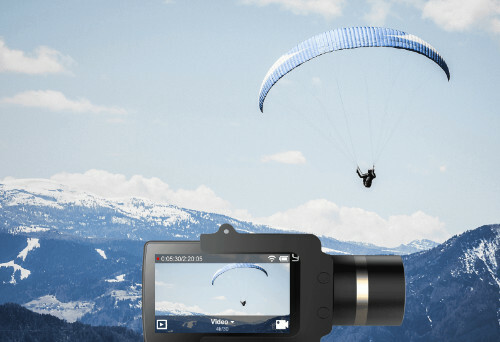 Yi Handheld Gimbal keeps the camera in a stable position even in precarious situations. 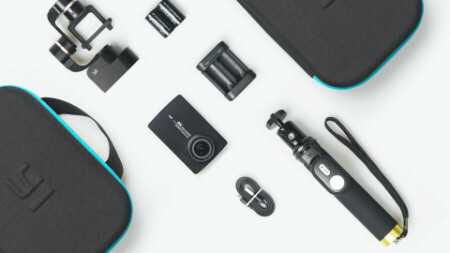 With powerful motors, Gimbal stabilizes the camera in three axes, lasts 2-4.5 hours, offers a total of three different modes of operation and with a classic tripod thread it is easy to attach to both the selfie bar and the various holders, suction cups and other accessories. 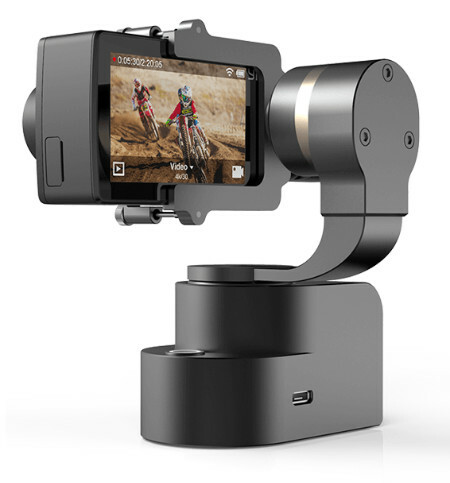 Only Handheld Gimbal is included. 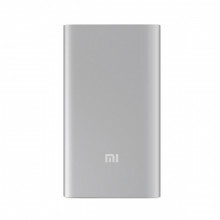 If you want to use Gimbal on a selfie pole, we recommend an original Xiaomi selfie pole, also equipped with a remote control for cameras. 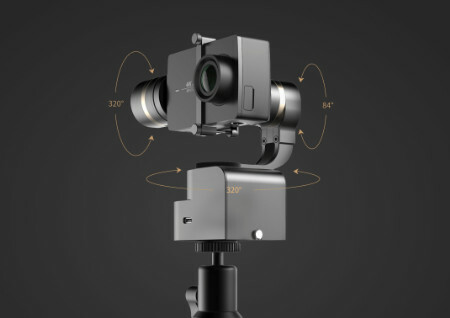 Gimbal is designed especially for Yi 4K and Yi 4K + cameras . 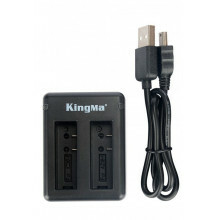 It should work with other brands and models, but we do not have specific compatibility. 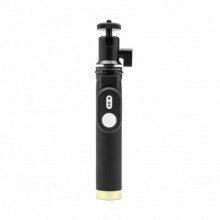 Yi Handheld Gimbal was developed for professional shots. 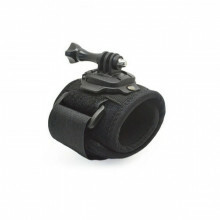 Offers a 3-axis head with three operating modes. 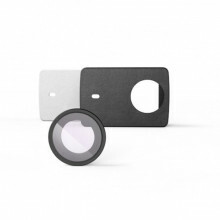 It helps you capture smooth shots of fast-moving objects, whether animals, cars or sports people. You no longer have to worry about shaking hands. 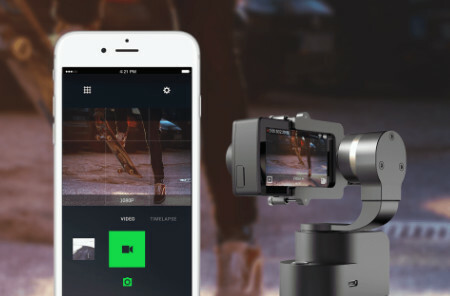 Handheld Gimbal offers three modes that you can simply switch between. The first one is Pan Mode , in this mode only the vertical axis is unlocked, so the camera will move left / right, but the other axes remain locked, so you can not move up / down and lean it. The other mode is Lock Mode , which only locks the left / right tilt axis, but the horizontal and vertical axes remain unlocked, so you can still move up / down the camera and turn it to the left / right. Even if this is done by the gimbal motors, so if the gimbal is tilted down, the camera engine leans down but also slower and more sensitive to keep the picture stable. The last mode is the Pan & Tilt Mode , which locks all three axes and the gimbal holds the camera in just one direction. Simple application with real-time preview! Even with the gimmick, you can still control the camera through Yi Action on your smartphone (Android / iOS). 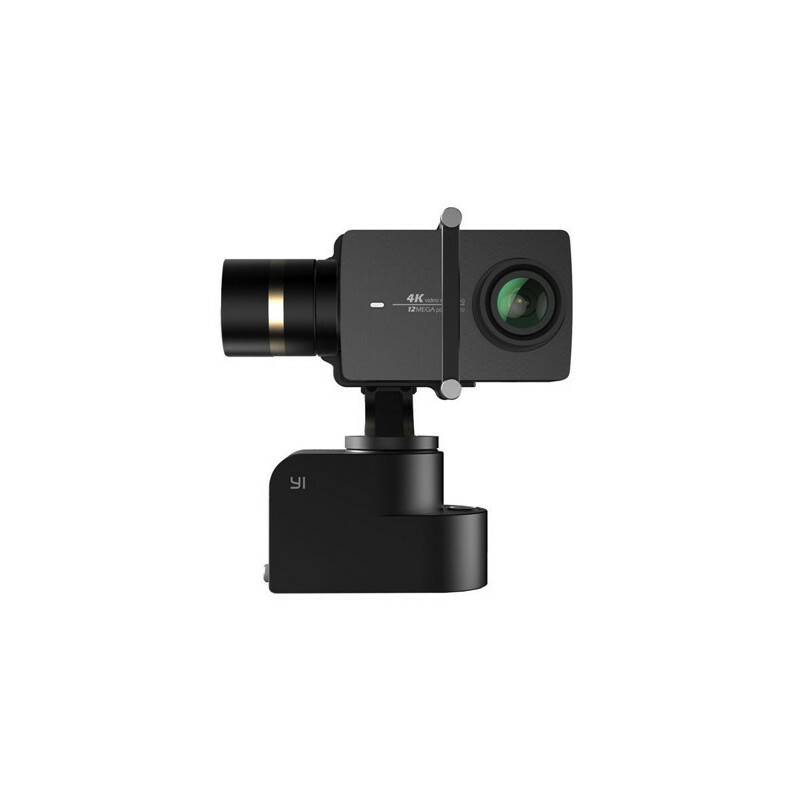 You can find both directions (in English) and video tutorials, such as Gimbal You can also use Gimbal with a camera to a less accessible place, but you still have the ability to watch live view from the cell phone through your mobile. Universal 1/4 "tripod thread to attach anything. 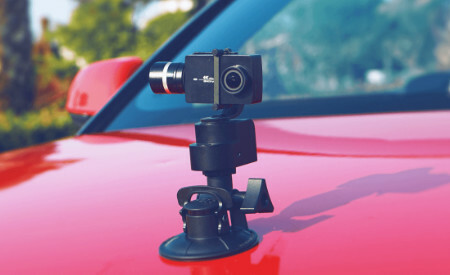 Yi Handheld Gimbal is equipped with a classic 1/4 "thread that you know from all the cameras, so you can connect it not only with a mandatory self-stick (we recommend buying this original with a remote control), but also with a suction cup that you put on the hood, or the helmet holder. Powerful DC motors allow the movement of the gimbal in three axes, as already mentioned. But what speed and scale? 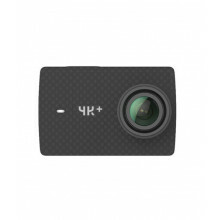 Horizontal and vertical motion, i.e., up / down and left / right camera stabilization, are in the range of 320 °, 160 ° to one side and 160 ° to the other. The tilt of the camera left / right is in the range of 84 °, ie 42 ° left and 42 ° to the right. The stabilization speed in the vertical axis (i.e., left / right movement, PAN) is 2 ° / s to 150 ° / s. In the horizontal axis (ie up / down, TILT) then 2 ° / s to 100 ° / s.